Ukraine’s Ministry of Defense reported at 12:30 PM Kyiv time that on February 27 one Ukrainian service member was wounded in action. In the last 24 hours, Russian-terrorist forces opened fire 11 times on Ukrainian positions in the Luhansk and Donetsk sectors, including six times using heavy weapons. 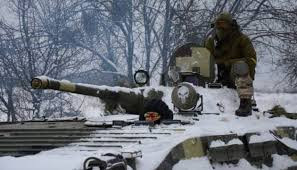 According to military intelligence two invaders were killed and five were wounded, as a result of returning fire by the Ukrainian Armed Forces on February 27. 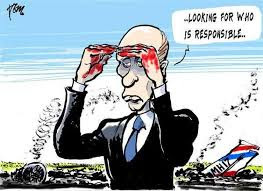 Separately, in an opinion piece published in The Guardian newspaper on February 27, Ukrainian Foreign Minister Pavlo Klimkin and 10 other foreign ministers from EU countries and Canada reiterated their condemnation of Russia’s seizure of Crimea. 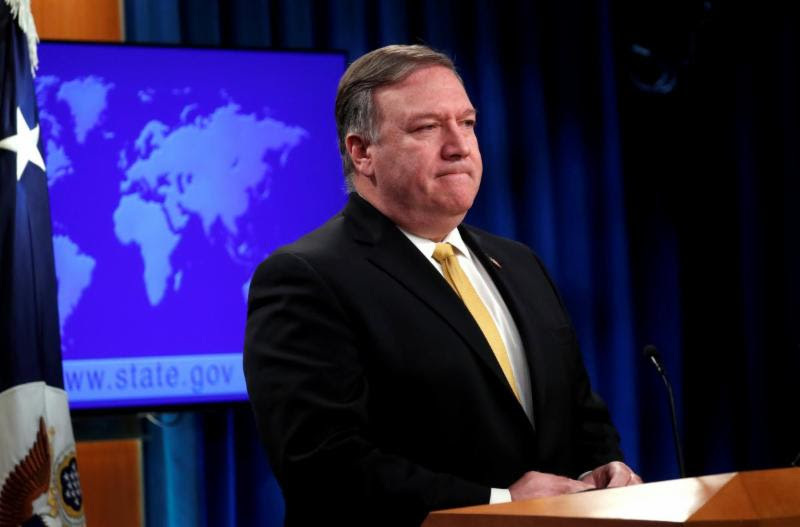 “We will continue our nonrecognition policy with respect to the illegal annexation of Crimea, and continue to condemn Russia’s aggression against Ukraine in the strongest terms,” the foreign ministers said. 3. U.S. Congressional Committee reviews if Russia may be designated as a State Sponsor of Terrorism. 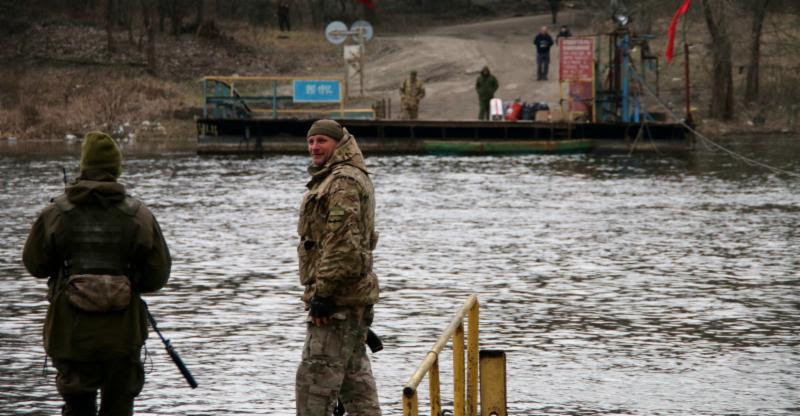 This is the compelling story of Nolan Peterson – a former SpecOps pilot and a combat veteran of Iraq and Afghanistan, and now a foreign correspondent for The Daily Signal – who traveled to the so-called grey zone [area between Ukrainian Armed Forces and the Russian-supported enemy positions] not far from the temporarily occupied city of Luhansk in eastern Ukraine. In his article he touches upon the intricacies of war describing the life on the front line during a short period of ceasefire. 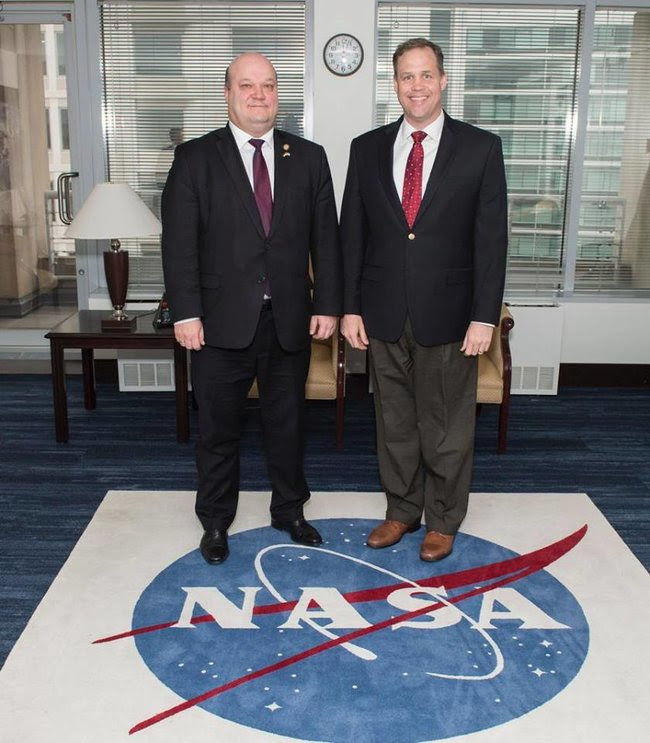 Ambassador Valeriy Chaly and NASA head Brydenstein Feb 27. Photo – Ukrainian Embassy in the U.S.
Ukrainian Ambassador to the US Valeriy Chaly and NASA head Jim Brydenstein have agreed to begin preparations for signing an intergovernmental agreement on the use of outer space for peaceful purposes, as reported by the Ukrainian Embassy in the United States. The parties discussed a “wide range of issues of cooperation in the field of exploration of outer space for peaceful purposes and intensification of bilateral dialogue in this field.” Head of NASA expressed gratitude for Ukraine’s support of NASA’s space initiatives. He stressed interest in attracting Ukrainian enterprises to implementing projects in the Moon exploration. Both sides agreed on the prospects of increasing Ukrainian-US cooperation in the space sphere mentioning “Antares” project.